Inspired by the glamorous interiors of luxury cruise ships, the Martime Lamp by Eichholtz will add a luxury design element to your home. 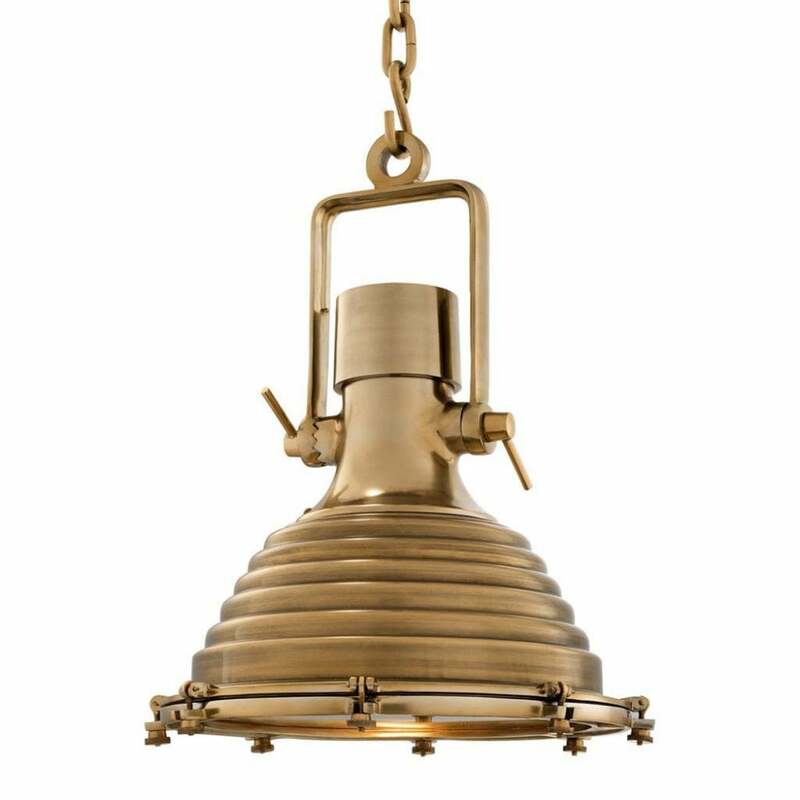 Industrial in style, this pendant lamp is available in two contemporary finishes - antique brass or polished aluminum. Hang in groups of three over a kitchen island or home bar for ultimate impact. Complete with an adjustable chain, this lamp can be customised to suit your interior requirements. Make an enquiry for more information.